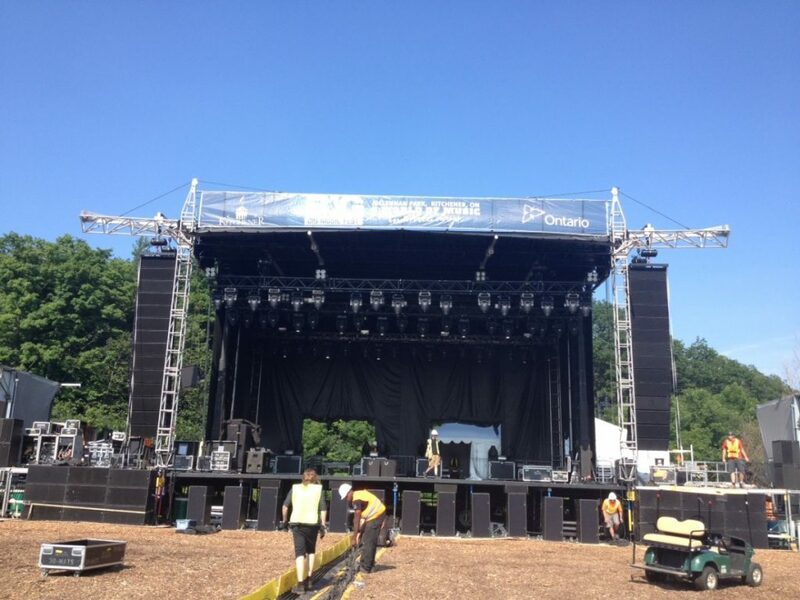 From Friday July 10th to Saturday July 11th, Metalworks Production Group was onsite providing professional sound, lighting and video for Big Music Fest in Kitchener, Ontario. Big Music Fest made its debut in Belleville, Ontario in 2008. 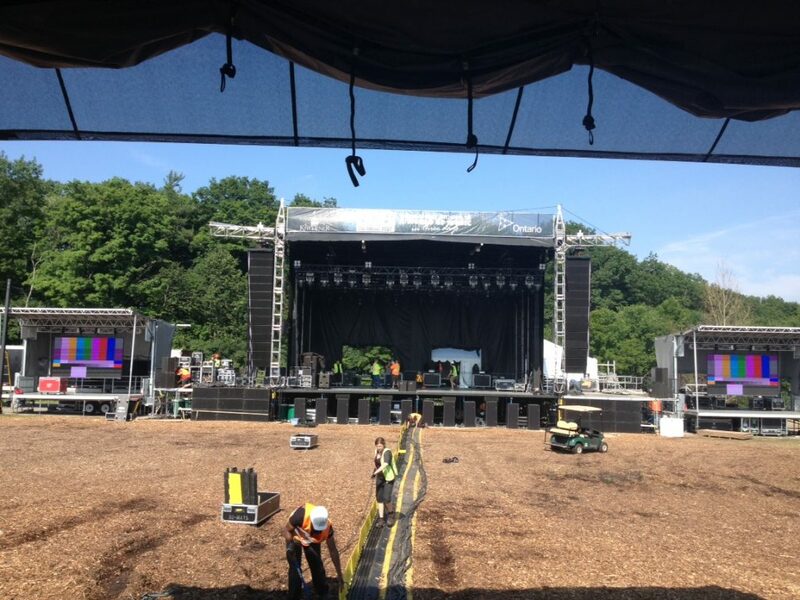 Over 16,900 fans attended to see the likes of Sarah Harmer, Sam Roberts and The Tragically Hip. Each year this festival has grown in size and popularity. The Tragically Hip’s 2011 performance was documented and won a Juno Award for the HBO movie titled Bobcaygeon. Dedicated fans travel from all over North America to attend this festival, whose incredible line-up last year included Aerosmith, Bryan Adams, STYX, Slash and Collective Soul. In addition to hosting renowned artists, Big Music Fest featured a battle of the bands style competition titled Breaking Bands on the Friday evening. After hundreds of entries, the top 20 Ontario bands battled head to head in a live competition. The winning band, The Rathburns, were selected by a celebrity panel of judges and the evening concluded with a performance from Big Sugar. Our team was responsible for setting up an L-Acoustics V-DOSC audio system with L-Acoustics arcs as out fills and SB218 subwoofers. We used AVID Profile consoles for front of house as well as for monitors. For lighting we used Martin Mac 2000 Wash lights, Mac Viper profiles, Mac 700, Profiles, Mac 700 Washes and Martin Atomic 3000 strobes. For video we set up two Stageline SL100’s with LED walls at stage right and stage left, with a full four camera package. This year’s line-up included Soundgarden, Jane’s Addiction, Monster Truck, Extreme, The Glorious Sons, The Mohrs and The Modern Hearts, winners of last year’s edition of Breaking Bands.